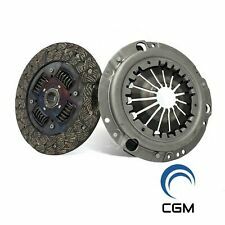 EXEDY CLUTCH KIT 2005 - 2011 CHEVY COBALT, SS SPORT, HHR PONTIAC G5 2.2L 2.4L. 2006 - 2011 CHEVROLET HHR 2.2L 2.4L DOHC 4CYL. 2006 - 2008 CHEVROLET COBALT SS SPORT 2.4L DOHC 4CYL. 2005 - 2009 CHEVY COBALT 2.2L DOHC 4CYL. Trending at C $130.84eBay determines this price through a machine-learned model of the product's sale prices within the last 90 days. 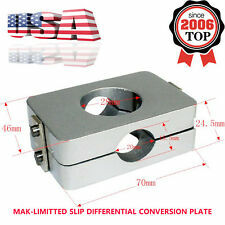 This part may also be known as: Transmission Conductor Plate. Consult us if you live in Hawaii, Alaska or Virgin Islands. This item is covered by our12 months unlimited mileage warranty. LOCAL PICKUP. 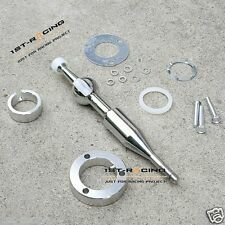 1979-1995 Mustang Competition Clutch Cable Firewall Adjuster Clutch Quadrant ( Strongest Kit Available ! ). Triple Hook Quadrant. Mustang GT and Cobra Vehicles. 1979-1995 Competition Series Clutch Cable. Also for K-swapped EF, EG, EK, DC2 as below For 89-00 Civic and 94-01 Integra EF, EG, EK, DC2. (may not fit RSX Boot/Console at all). No Modification need for RSX application, you can still keep center console cover on. 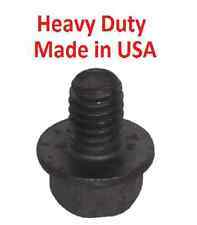 You are Buying a Crown SYE KIT For Jeep XJ - YJ - TJ (Slip Yoke Eliminator) Rough Trail Heavy Duty. The kit fits all newer production NP 231 transfer cases (90 & up). 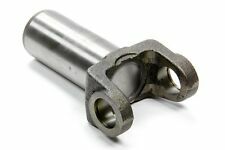 ASlip Yoke Eliminator Kit (SYE)will eliminate the need to drop your transfer case in order to avoid drive train vibrations that are caused by taller suspension lift. Universal Tank Mounting Bracket - 3in to 3.25in. Transgo Shift Kit ( SK VW-01M ) Transgo Shift Kit ( SK VW-01M ). TRANSGO 01M SHIFT KIT. Transgo Shift Kit (SK VW-01M). No boring or reaming tools required. Aluminum threaded end plug replaces plastic plug that breaks. GM 8.5" 10-Bolt Gears - 4.10 / 4.11 & Bearing Kit. Ratio :4.10 / 4.11. Master Bearing/Installation Kit Includes . Annular grooves have been added to the Sonnax valve to better center the valve and prevent future wear. Wear at the TCC damper valve bore allows signal pressure to leak, resulting in harsh TCC apply. For CHRYSLER 300 (2006 - 2011). For CHRYSLER PACIFICA (2007 - 2008). For CHRYSLER SEBRING (2007 - 2010). For CHRYSLER TOWN & COUNTRY (2008 - 2011). For JEEP COMPASS (2007 - 2011). 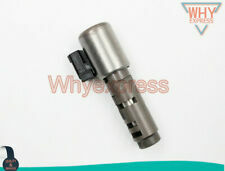 For JEEP GRAND CHEROKEE (2005 - 2011). 2002-2007. Jeep Liberty. A 1 year factory defect warranty applies to all automotive prop shaft high speed joints, unless otherwise established. Front prop-shaft - rear position joint. Warranty herein is null and void for parts found to be used for racing purposes of any kind. 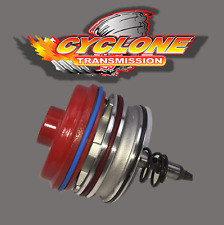 Dodge Chrysler 45RFE - 545RFE Line Pressure Booster The simple direct plug in way to add performance to your transmission. The Line Pressure Booster modifies the pressure signal sent to the computer resulting in the computer raising the line pressure. In this situation the LSD’s inherent torque transfer characteristics work in reverse to transfer torque away from the locking wheel. This enhances deceleration, delaying the intrusion of electronic ABS systems and allowing drivers to brake later and deeper with the LSD than is possible with a standard ‘open’ differential unit. (Do not use in brakes)Condition:New. Differential - Conventional, Limited Slip and Locker. Power Steering - Rack & Pinion and Steering Box. SONNAX 68942-05K. Sonnax Part Summary. shift complaints. T hese modulating sleeves position the valve for proper clutch feed. IT IS REQUIRED RE-USE YOUR EXISTING VALVE BODY. • End-face grooves aid in easy sleeve identification. Kartboy Shifter Bushings Combo 2004-2018 STi 6MT - Tighten Shifter Slack! The Kartboy Rear shifter bushing replaces the soft factory rubber bushing. It works in conjunction with the Kartboy shifter bushings to help stabilize the shifter assembly mounting base. The rear bushing located underneath the car in the transmission tunnel, above the driveline. Brand New / Premium Quality Direct Replacement Hassle Free Returns / Free 60 day Returns. 2008-2009 Chevy HHR 2.0L Includes SS turbo. 2008-2010 Chevy Cobalt SS 2.0L Includes turbo. The hub is double sprung with spring cover relieves for flexibility and heat treated components for strength and durability. S70 1998-2000. V70 1998-2000. Volvo 850 1993-1997. Volvo S40 V40 with 4 cylinder engines. Volvo C70 1998 - 2004. both genuine and non-genuine parts for VOLVO cars. All rights to the VOLVO trademark including all logos are owned by. TRANSGO REPROGRAMING KIT. TH-350 Transmission 1969-On. Does not require transmission removal for proper installation. Valve Body Rebuild Kit. Tow & Go and Competition combination. Backshifts to 3rd, 2nd and 1st at any rpm. FITTING SIZE.11/32" HOSE BARB. 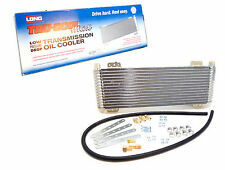 OIL COOLER. COOLER SIZE..12" X 11" X 3/4". THIS COOLER KIT CONTAINS. NUMBER OF PLATES...60. 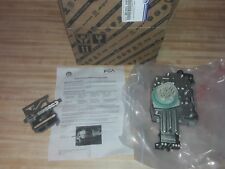 CHRYSLER JEEP DODGE RAM Dealer Tool W/ INSTRUCTIONS!! Interchange Part Number: U140, U140e, U140F, U240, U240E, U240F. 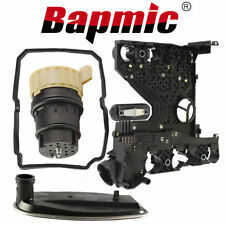 For Toyota/Lexus U140E/F 1998-2012. 2 - Regional Box A. 1 - Padded FR Envelope. 45RFE, 545RFE. Transgo Updated Design Shift Kit. This Kit does not make firm shifts, it creates a "quicker shift". Full kit install requires transmission removal, disassembly and re-installation. Includes new TC limit valve system. (3) Perfect match for the original car. 1987-1988 190E 2.6 Fit Notes: Auto Trans. 5) Stable characteristics, high reliability. 4) Easy installation. 1987-1988 190E 2.3. 1 Year Warranty. 1988-1989 300TE. This OEM Kit Contains PART NUMBER. BMW E93 325i N53 2006/12 Cabrio 2006-2010. BMW E93 325i N52N 2006/12 Cabrio 2006-2010. BMW E90N 325i N52N 2008/10 Saloon 2008-2011. BMW F30 318d N47N 2012/03 Saloon 2011-2015. BMW E82 125i N52N 2008/03 Coupe 2007-2013. FITS 350, 400, 2004R, 700R4, AND 4L60E TRANSMISSIONS. KEEP DUST AND DEBRIS OUT OF YOUR CONVERTER AREA, AND PROLONG THE LIFE OF SEALS. THIS COVER WILL NOT WORK ON 4 X 4 APPLICATIONS WITH SUPPORTS THAT BOLT TO THE COVER! H.D. aluminum girdle system, made from premium quality cast aluminum (super light weight). One Set Cover Rear End Girdle System. Will fit 2005-current Mustang if you use a panhard relocation bracket (not included). TOYOTA LUCIDA ESTIMA EMINA PREVIA CXR10/CXR20/TCR10/TCR20 1990-1999. Do you need help choosing the correct parts for your Lucida Estima Emina Previa Cxr10/Cxr20/Tcr10/Tcr20?. TOYOTA CROSS REFERENCE OEM. 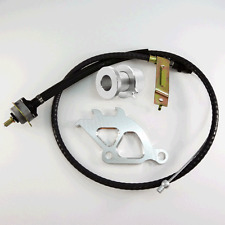 4L80E External Gasket and Seal Kit GM 1991 and Up. for your Transmission to be a 4L80E. Does not include Pan Gasket. For all of your Automatic Transmission Part needs. Tahoe, Yukon 1995-2007 V8 6.5L Diesel 4 Spd RWD 4X4. Descriptif : Colliers de serrage à oreille (dits Oetiker®) de grande longueur pour s'adapter à différents diamètres. Le kit comprend : • 5 colliers pour soufflet de cardan. Collier de serrage pour soufflets de cardan. JDM DUAL BEND SHORT SHIFTER SHIFT KNOB HONDA / ACURA 88-00 CIVIC / CRX / DEL SOL 90-01 INTEGRA BLOX Dual Bend Short Shifter. Constructed with Aluminum for maximum durability and reliability. The added weight of the shifter results in smoother and more positive shifting.Reduce shift throw by 45-50%. OEM: MR403052, 30611-AA025. Each Individual component of this part is made with high quality materials. 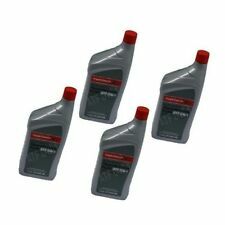 They use only synthetic oils on Hydraulic engine mounting. We will not declare as a gift. SLAVE CLUTCH CYLINDER REPAIR KIT. Perfect worn or broken gear knob extender to replace. 1 x Shift Knob Extender. Solid and durable. Due to the light and screen setting difference, the item's color may be slightly different from the pictures. (The Master Overhaul Kit Includes Overhaul Kit. 2) OPEL ASTRA 00-05 4SPEED FWD L42.0L 2.2L. 1) DAEWOO TOSCA 06-08 5SPEED FWD L4 1.8L 2.0L V62.0L 2.5L. 3)SAAB 40788 05 4SPEED L4 2.0L 2.5L.